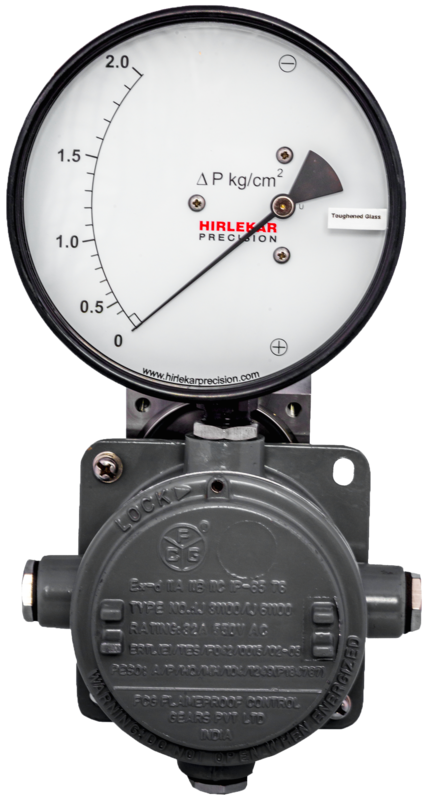 In the Hirlekar Precision Model EX-300 DGC, the movement of the convoluted diaphragm is converted into appropriate calibrated rotary movement of the pointer through a magnetic connection. 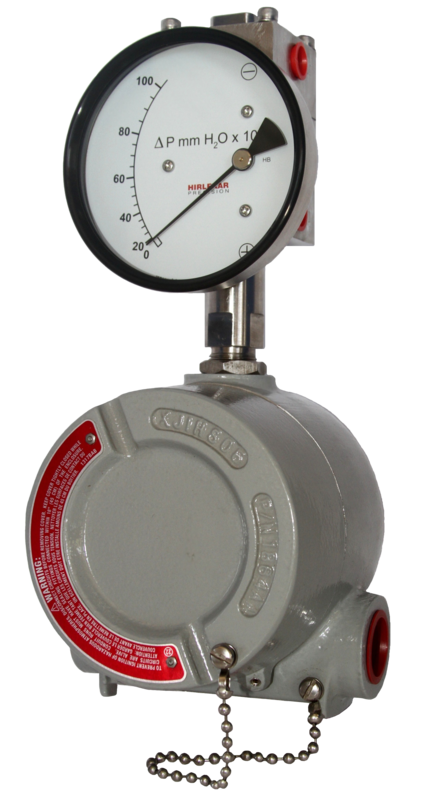 This type of diaphragm model is used in applications where no migration of the media from high pressure side (HP) to low pressure side (LP) is permitted. The explosion proof box manufactured by Akron (USA) is ATEX approved.